It’s an aspect of a contemporary lifestyle that continues to exasperate many – the expectation from companies that employees need to work excessive hours or under unreasonable levels of demand to be deemed useful. It’s no surprise that plenty of studies performed on stressed workers have ascertained that overwork leads to burnout and a decrease in productivity. It can also lead to serious health issues, including depression. 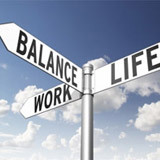 The co-founder of Asana – Dustin Moskowitz – has come up with several suggestions on how employees can be helped to achieve an acceptable work-life balance, and the responsibilities employers need to address in order to help them to do so. Dustin Moskowitz certainly knows a thing or two about work, and working hard. Moskowitz was one of the five co-founders of Facebook, of which Mark Zuckerberg is of course the most well-known. In 2008, Moskowitz left Facebook to help co-found the project management software website Asana. In 2011, the US business magazine Forbes announced that Moskovitz – at the age of twenty-six, had become the world’s youngest-ever self-made billionaire. By the summer of 2015, Moskowitz’s net worth had spiralled to close to ten billion US dollars. Remind members of their team to monitor their own well-being: Employees should be encouraged to be honest with themselves if they are feeling stressed or unfulfilled, and be alert and open about aspects of their personal life that may be affecting their performance at work, such as relationship or health issues. Encourage employees to take regular breaks: There has been enough evidence written about the importance of taking regular breaks to make George R. R. Martin’s ‘A Song of Fire and Ice’ saga look like a small pamphlet, and yet still employees seem reluctant to leave their desks. Employees should be ‘gently encouraged’ to not only leave their desks, but also to leave the company building two or three times a day, even if it is just for a walk around the block. Managers need to keep an eye out for burnout, and take action accordingly: Team leaders need to develop the ability to watch for employees who are on the verge of burnout or – even better – spot employees who have taken the first steps towards being overworked. Early diagnosis prevents issues that may become seriously debilitating health problems. Moskowitz also suggests that companies should provide gym facilities, or at least access to free gym facilities, and fill their vending machines with healthy alternatives to crisps and chocolate. A mindset of ‘work ’til you drop’ still permeates through the working world, as recent exposés of working practices at Amazon and Sports Direct have proven. However, Moskowitz truly believes that the creation of a healthy work-life balance is much more important and beneficial than treating employees as if they were rowing Roman galleys. A successful company is like a machine, and if components of that machine – no matter how seemingly inconsequential – are on the verge of falling part, then it’s a machine that’s not running as efficiently as it should do.